XI'AN CHANGDA TITANIUM PRODUCTS CO.,LTD. XI'AN CHANGDA TITANIUM PRODUCTS CO.,LTD.is located in the historic,ancient Chinese city of Xi'an city. We are a specialized large-scale manufacturer.Our various businesses have developed constantly since we began in 1990. Our products have met with success in domestic and foreign markets alike. Our mission statements is "Give back to society and you will benefit mankind ." We have actively made progress by discarding old manufacturing techniques in favor of the new to construct better made,high quality products. Our merchandise is primarily sold in American,European and Southeast Asian markets. We welcome all prospective clients. 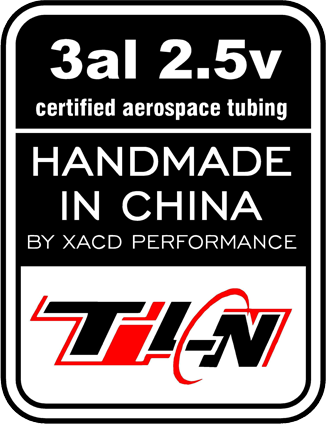 We make titanium bicycle frame by certified aerospace Grade Ti3AL2.5V 100% seamless tubes(3% Aluminium,2.5% Vanadium,94.5%Titanium). Our company has been making titanium frames and components and parts for the past eight years and uses highly skilled, well paid workers, in addition to using the latest manufacturing technologies. Copyright, XI'AN CHANGDA TITANIUM PRODUCTS CO.,LTD., All rights reserved.